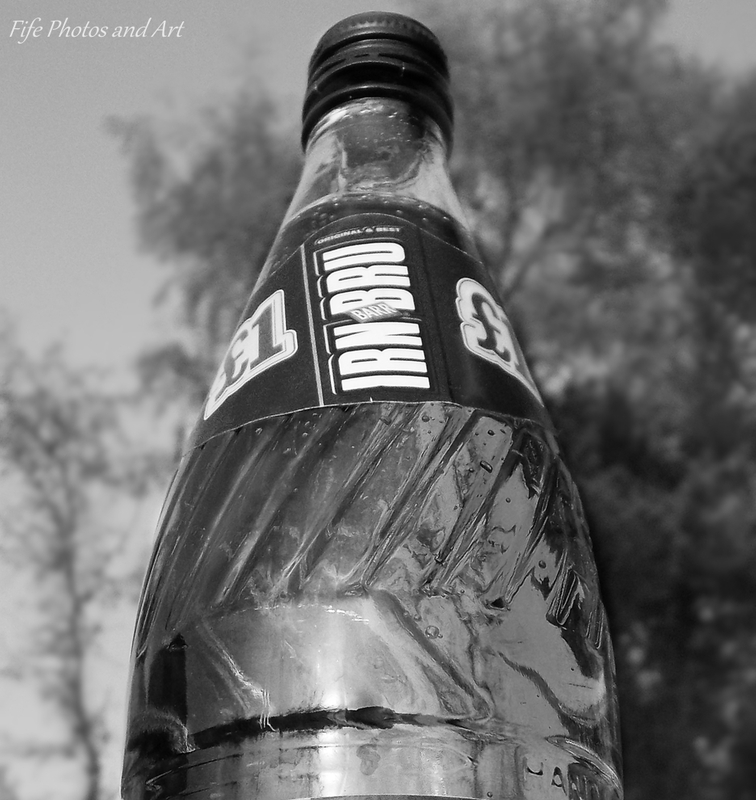 This entry was posted in Weekly Photographic Challenge and tagged Barrs Irn Bru, Fife, Scotland, Scottish icons. Bookmark the permalink. I didn’t ever drink much in the way if soft drinks but I find myself missing Irn Bru. It’s quite impossible to describe the flavour to anyone who has not tasted it for themselves. We can buy small bottles from an Irish shop here but for stupid prices. I bought some for a cultural exchange thing at my sons’ school. My 10 year old’s classmates were quite smitten with the taste. They were also glad I couldn’t make them try haggis. 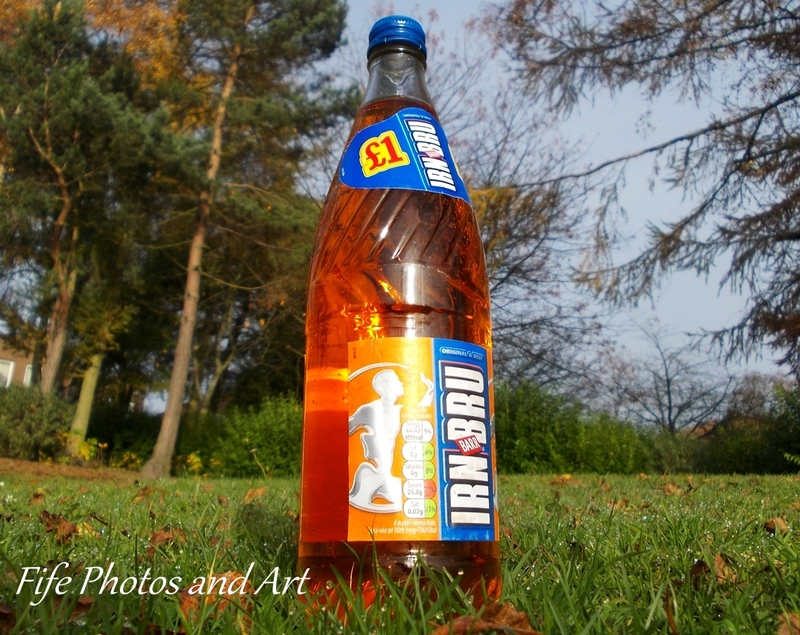 The way your photograph makes the bottle look so huge makes me ponder why there’s not a statue to Irn Bru somewhere in Scotland. There definitely should be a statue, Laura, probably in Glasgow 🙂 I can quite imagine the children at your kids school were terrified about the idea of maybe trying haggis!! LOL! It’s amazing how deceptive the size of an objest can be when the photo is so close up, and without something next to it to denote scale (a point of reference, is it called?) They’re great photos, and would make excellent advertising posters. 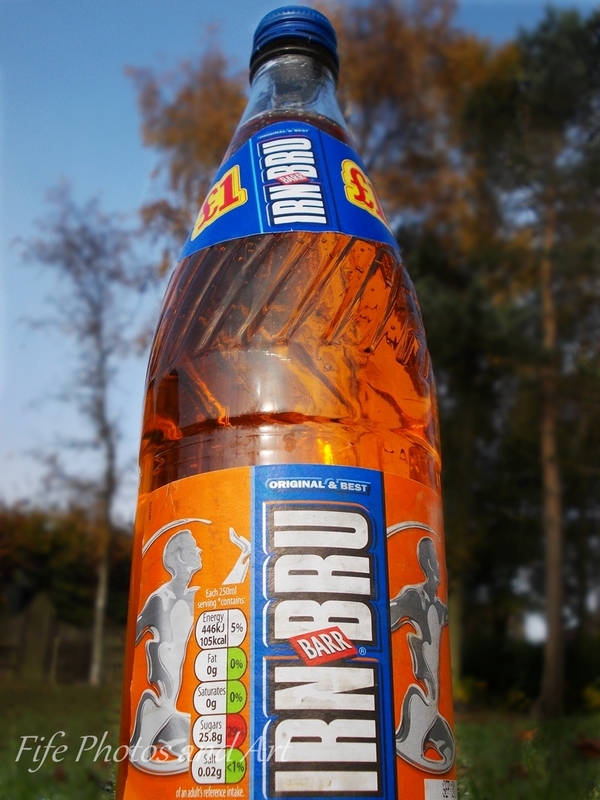 I’ve never tasted Irn Bru, but you make it look very appetising. Does it go well with porridge? I eat that every day. Lol. How different the drink looks in b/w. I quite like it that the colour of the bottle’s contents is open to guesswork. Interesting post, Andy. Och aye laddie, made in Scotland from girders. 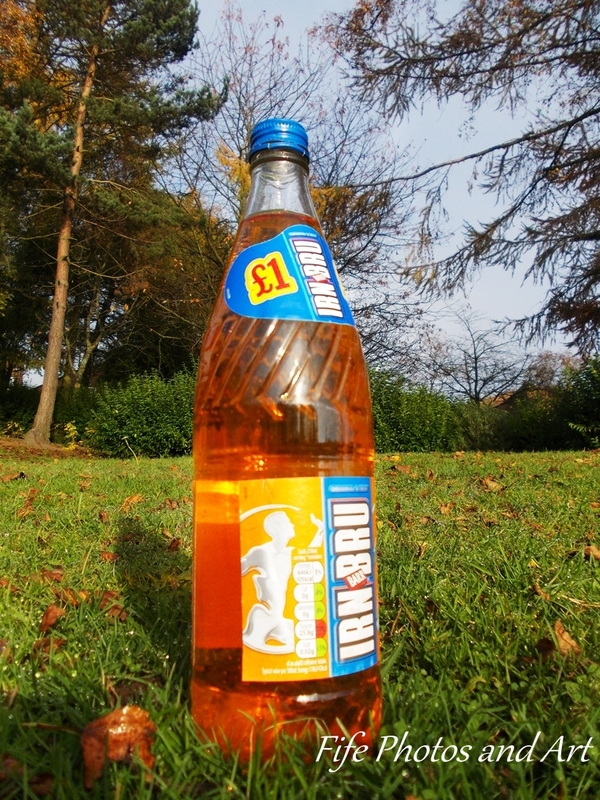 I was only allowed fizzy juice on special occasions as a child and Irn Bru was my treat of choice. I have it very rarely, but just now and then it’s great to have a wee sip again. Lovely. Had you tasted it before you came to live in Scotland?